Brides nowadays prefer specially tailor made bridal blouse designs apart from the traditional patterns. 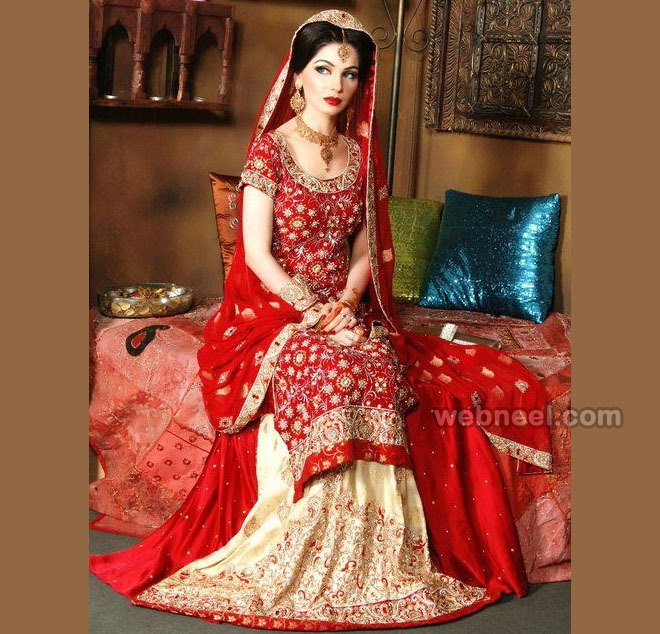 Lehenga blouses with heavy zardosi work is mostly preferred by our lovely brides. 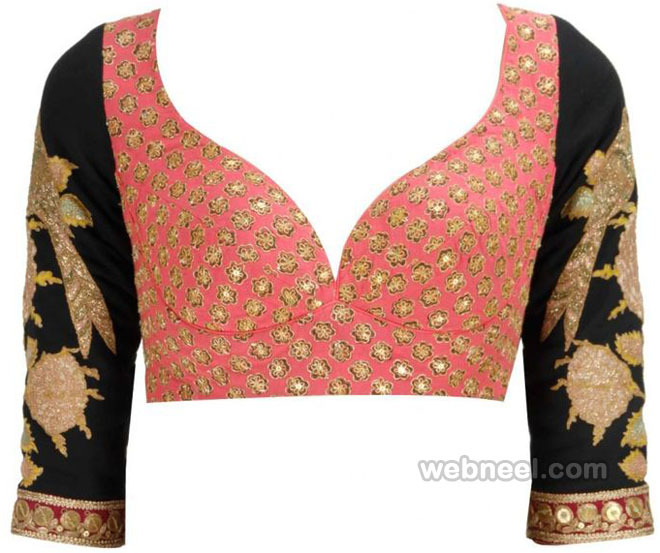 Popular designers like Sabyasachi Mukherjee have created a special trend for exotic looking blouse designs. 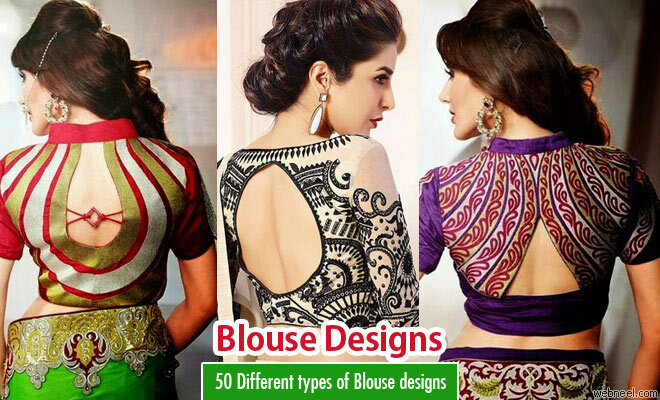 Blouse patterns can be made from several types of fabric like brocade, shimmer, net, georgette, velvet, silk, tissue, stone, lycra or even printed materials. If you plan on wearing a transparent or net saree, then it’s best to choose a back open or stretchable patterns. Front open patterns are suitable for almost all kinds of sarees, but it’s to avoid for lehengas and lace sarees. 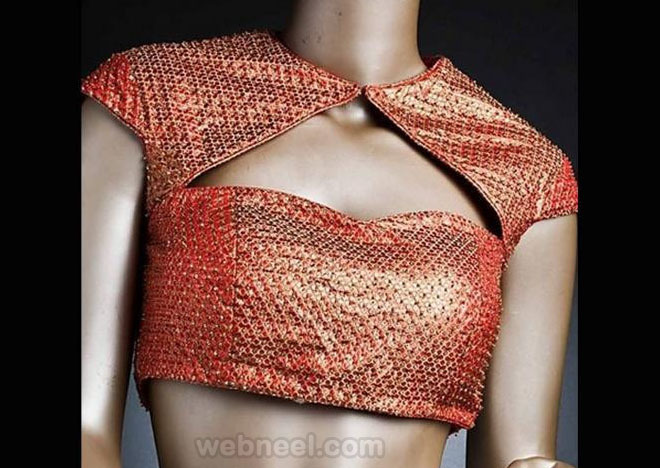 Stretchable blouse designs can be made from these fabrics like velvet, lycra, lycra and lace mixture for sleeves. These stretchable blouse patterns are suitable for all kinds of occasions like parties, birthdays etc. Neck designs play an equally important role in making the women look pretty. 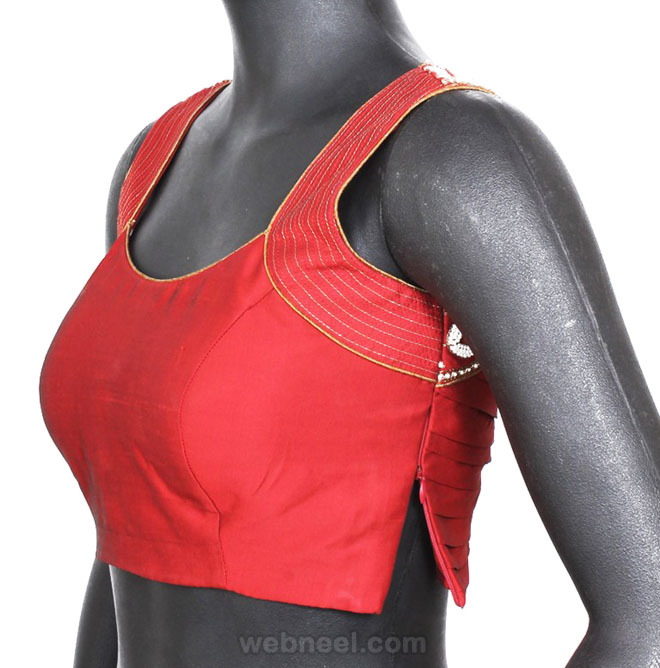 Halter necks, round neck, square neck, backless neck design, deep neck blouses, princess cut neck design are some of the most popular neck designs. In olden days, women wore highly embroided blouses with plain chiffon sarees and this fashion is back, no wonder there is a saying “ Old is gold”. Try out different kinds of neck designs for your office party or even your kid’s annual day programme. If you have a long neck and are quite tall, you can choose halter neck or even backless blouse design for that extra oomph factor.